It’s that time of year again: time to examine what homeschool curriculum choices we have for fourth grade for 2016-2017. In our busy house, self-directed learning is paramount! With a fourth grader, a preschooler, and a soon-to-be toddling baby, it’s sure to be an active year. Using various tools for self-directed learning is a key focus of our choices for the fourth grader. My fourth grader, Raisin, has showed lots of initiative in working independently this year. I think it helps that we have dropped regular handwriting assignments from his schoolwork. Instead of asking him to handwrite answers, he is able to type and print them out, taping them into the notebook. This eliminated lots of the battles. He will do another year of Keyboarding without Tears. Already, at age 8, he is typing 14 wpm. Not too shabby! I help Raisin with his English. We’ll finish doing Logic of English Essentials (lessons 30-40) of version 1). He still struggles with some basic spelling rules, so those are the things we’re focusing on in the lessons. We’ve also begun to do Geography-based Writing lessons from (IEW). I am really enjoying the IEW methods thus far. We are nearly done with the first of four books in the lesson plan (Paddle to the Sea). For English, we’re also working on G.U.M. Level 3 (Zaner-Bloser). I got this for last year, but we had too much. I think Raisin is at a better place for doing this workbook now anyway, so I’m kind of glad we waited a year. I’m glad we are doing this workbook so we can fill in the gaps of what he does not know. Raisin is continuing to do Teaching Textbooks for math. He has about 25 more lessons in the level 4 book, and then we’ll go on to the level 5. He loves that he can do all of his work on the computer. I too love that he can listen to the lecture and do the work on the computer! It’s all graded for him immediately. He can see how it is done if he finds he does not understand the correct answer. This is perfect for the busy homeschooling mom! Raisin loves math. My husband said he would do a subject with my son this year, so he’ll be working with Raisin for science, which is the subject that often worries me. We have TOPS Science: Electricity and Magnetism that they may work through. Since Raisin loves his Snap Circuits, he’s always been interested in electricity. Ironically, despite the fact that I worry about science, I’m the one who will be teaching a STEM Challenge class at co-op for Raisin. The idea of this class is for the kids to learn to problem solve and keep a record of the various steps of solving an engineering, math, or science problem. We’ll do all sorts of fun activities. Right now, I’m working on planning what things we’ll do in the first few weeks of the class. I think we may start with the Lemonade Game and then build a miniature golf hole as we learn about angles. For social studies, we will be reading books for the IEW writing program that also teach some basic American geography. We have Geography through Literature from Beautiful Feet Books that we’ll be giving a try. I also want to finish the second half of Story of the World 4: Modern Age. We did ten chapters last spring, but we did not finish the book. I think it is important to finish the general overview of history. For Spanish, my son and I are reading Easy Spanish Reader a little bit each day. My son is becoming more and more confident in his answers to me as we review what we read each day. It is not the most exciting story thus far, but it is helping us with vocabulary and comprehension. Raisin will also keep playing the games on Visual Link Spanish and I will make games and activities as well. We begin each day with scripture reading. Right now we are reading The Book of Mormon. My son also reads some independently. Raisin is taking an art class at co-op, and he has begun to learn to play the piano. He also is taking a basic logic class at the co-op. For physical fitness, we have access to a local gym, which has a pool, so maybe we’ll get swimming time each week there. We have lots of other resources at our disposal. As I’ve mentioned, I find Boom Cards to be a good tool for steering my son to independent learning. We also have oodles of books on various subjects, and my son loves to consider a subject and research it himself. I hope to be able to nurture those interests. For that reasons, I am hoping that I can stay open minded about our curriculum choices and not expect them to dictate our entire year. It’s bound to be great, no matter what, because we’ll all be together! 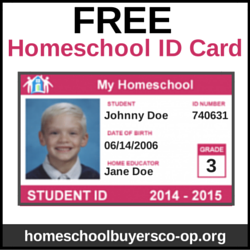 It’s Back to Homeschool Month with the iHomeschool Network! Click the calendar to see other curriculum choices for the year! Check tomorrow for my Preschool at Home plan.